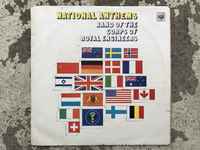 Long Playing record of the Band of the Corps of Royal Engineers featuring National Anthems from around the world. Director of Music: Capt. 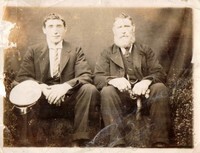 P. W. Parkes, L.R.A.M., A.R.C.M., p.s.m., R.E. The Official Handover of Fort Meagher, Crosshaven to Cork County Council 29 May, 1989 detailing the order of the day. Tags: 1550, 1600, 1759, 17C, 1847, 1874, 1877, 1893, 1989, Admiralty, Artillery, battalion, Brennan's Torpedo, CCC, chairman, Charts, colours, Convicts Quarry, Cork County Council, crosshaven, Defence, Engineer, flag, Fort Camden, Fort Carlisle, garrison, guns, Haulbowline, Jacobites, kinsale, march, Minister, Moncrief Platform, National, National Anthem, parade, Ram's Head, Rinn Reamhar, Tourism, Troops. Dr Fearghal McGarry from Queen's University Belfast discusses how Joseph Plunkett became involved with the 1916 Easter Rising. Training An Slua Muirí in Seamanship skills.